Several weeks ago my husband came home from work and happened upon a loaf of bread I had made. It was my attempt at a paleo bread recipe. Later, he told me how happy he was to see bread – something we ordinarily do not have in the house. He saw the bread, got excited and immediately reached for a slice. As G tells it, he was bringing the slice to his mouth when he remembered, “Wait a minute. Lea doesn’t eat bread. This must be Paleeeeeoooo breaaaaaad…” It was too late. He had already taken a bite and his trepidation was validated. We have been joking about this ever since. Not to say it does not exist, but we have yet to find a good recipe for paleo sandwich bread. And, honestly, while G may disagree, I’m not that bothered. After eating grass fed beef and vegetables and healthful fats for months the allure of bread is not quite what it once was. 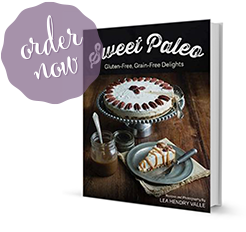 The recipes in the paleo bread category I do appreciate are things like scones, banana bread, muffins, biscuits and the like. These recipes always seem to turn out much better when using dense flours like almond and coconut. 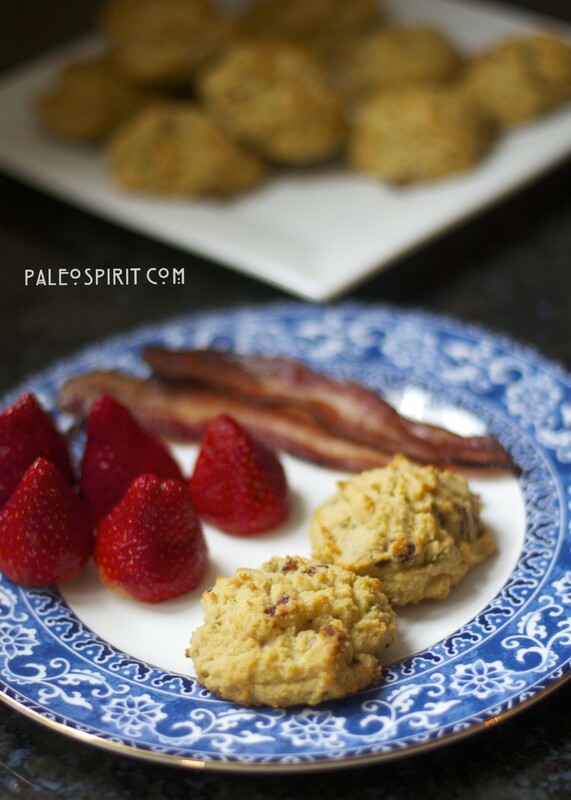 The following recipe for paleo biscuits is the result of severals trials and errors. My son has a nut allergy and cannot eat almond flour so we often default to coconut flour. My husband is not a big fan of the coconut flavor. In order to keep these coconut flour biscuits from having too much of a coconut flavor I opted for vegetable shortening instead of coconut oil. 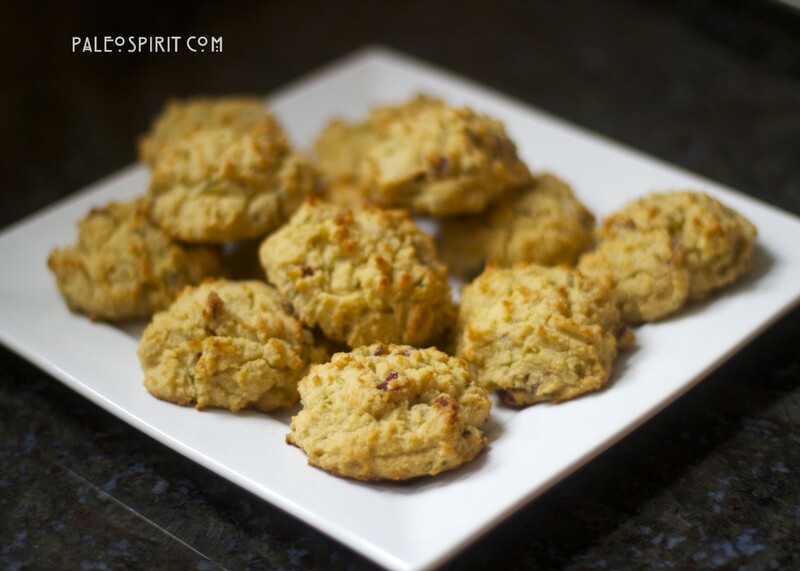 Gluten-free biscuits made with coconut flour. Cut the bacon into small pieces and fry until crispy. Use a slotted spoon to remove the crispy bacon pieces to a small bowl. Fry the minced shallots in the bacon fat until translucent, picking up all the browned bacon bits from the pan. Set aside to cool slightly. Combine the coconut flour, baking soda and salt. In the bowl of a stand mixer whisk the five eggs together with the apple cider vinegar. Add the flour mixture and beat until combined – the mixture will be very thick. Add the shallots and bacon fat and the shortening and continue mixing until well-combined, scraping down the sides of the bowl as necessary. Add the bacon pieces and mix until combined. Spoon mixture onto a baking sheet covered in either parchment paper or a Silpat. Bake for 15 minutes until slightly browned on top. Spoon mixture onto a baking sheet covered in either parchment paper or a Silpat. You will make 12 large biscuits. They should look something like this. A friend of mine told me because I am from Texas she has high expectations for these biscuits. No pressure! Sheesh! 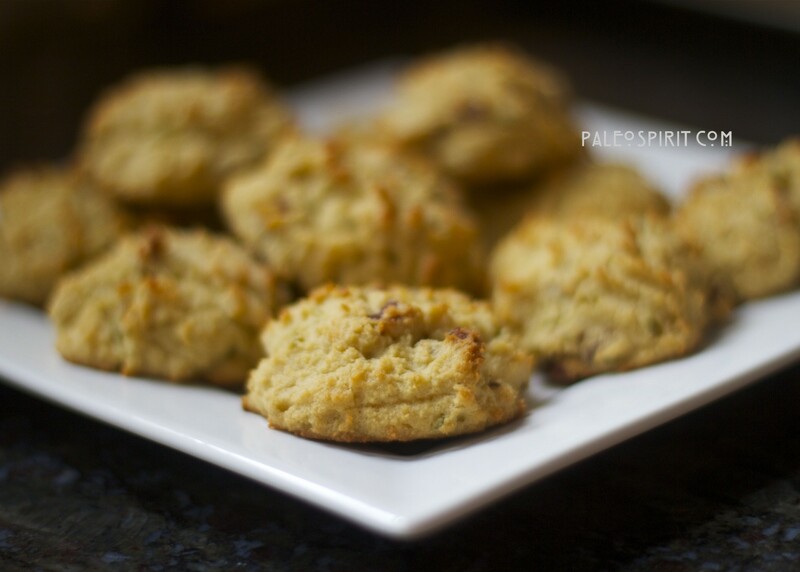 In my humble opinion, Coconut flour paleo biscuits are never going to be quite the same as traditional biscuits. Coconut flour is the trickiest flour I have ever used. A lot depends on the brand, how it is stored and how packed down it is when measured. (BTW, you should use the “scoop and sweep method” for measuring coconut flour). I believe the combination of the bacon fat (how can you go wrong with that?! ), the eggs and the shortening counteract the dryness of the coconut flour in this recipe. It can be hard to get something that is moist but not spongy and crusty but not too dry. I believe this recipe walks that fine line. 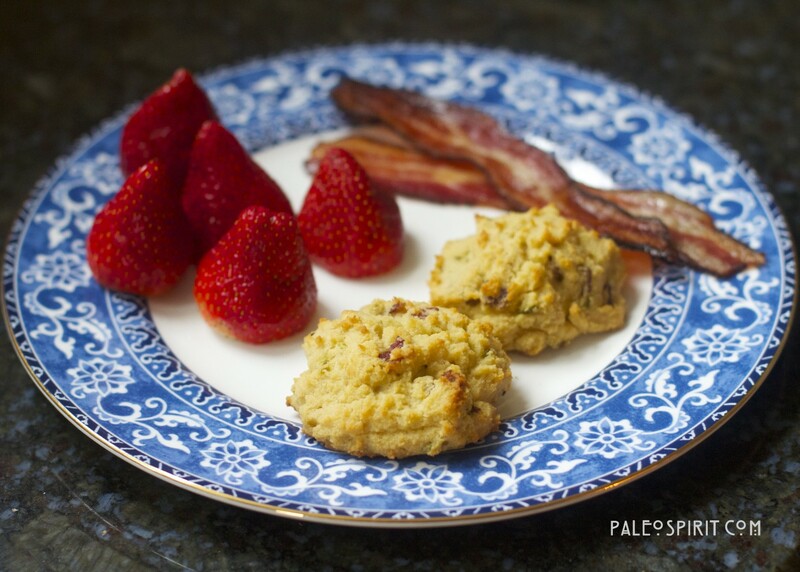 The paleo biscuits are great as a side to some bacon and eggs or you could even cut them open and use them as the base for a breakfast sandwich. 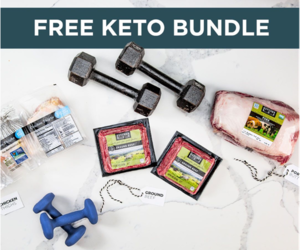 Have you had bad experiences with paleo bread? I’d love to hear about it. If you have found a great recipe I’m sure our readers would love to know about that too. Does the Paleo Diet Make Sense Only in Light of Evolution? 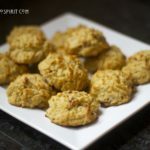 32 Responses to "Coconut Flour Paleo Biscuits"
The recipe sounds great but I have to ask are the biscuits eggy smelling/tasting. That is my big repulsion to the coconut flour breads – they all seem to have a lot of eggs. Does the bacon and shallots hide this? I didn’t think they were eggy and I asked my husband and he didn’t think so either. But it really depends on how sensitive you are to an egg flavor. You’re right that there are usually a lot of eggs in coconut flour recipes because it is so dry and needs a lot of moisture. I think they have more of a coconut flavor than an egg flavor and that’s what I was trying to counteract a little with the bacon and shallots. Funny story, I love the Paleeeeeoooo breaaaaaad… part, when he realizes what he’s about to eat lol. You are right that I’m in New Jersey. I was having trouble with creating links in that post (fixed now) or I ordinarily would have linked to a resource. I used Spectrum Organic Vegetable Shortening made with Palm oil. Here’s the link to my Amazon store if you want to order online. http://astore.amazon.com/paleospirit-20/detail/B000A40OVQ I bought mine in the Whole Foods in Madison and they probably carry it at Wegman’s too. As far as I know palm shortening is approved for Whole30. Thanks. I have seen it here at Whole Foods in Princeton. I can’t wait to make these. I miss biscuits! :). Thanks for the quick reply…planning my menu now while watching Stars Wars with the fam….:). Happy New Year. I loved the idea of eating biscuits but these were so dry, I found myself chocking several times even with liquid by my side. There must be a way to make these more moist. For the amount of time that goes into making these, I expected them to be better. 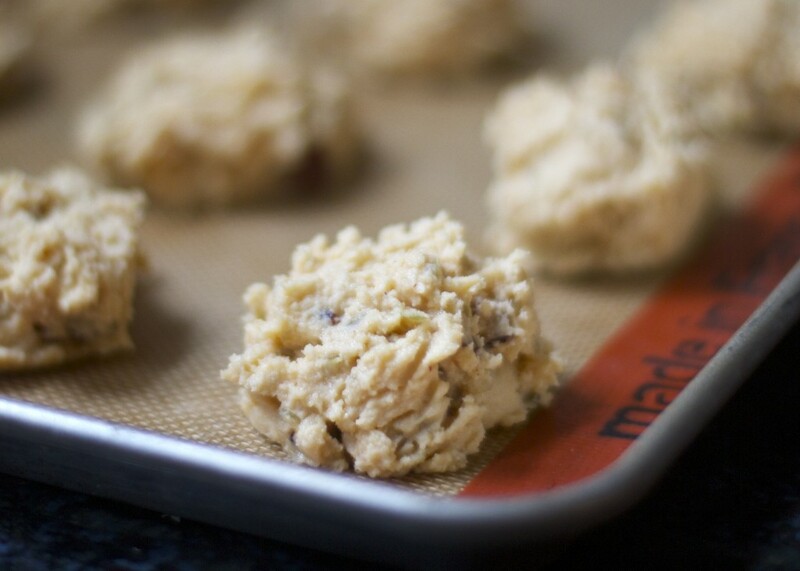 Maybe you can come up with an ingredient to make these more moist. Possibly some sort of oil or adding some almond milk. Wish they had been better. From the perspective of someone who has been cooking “Paleo / Primal” for some years now: it is important to realize that experimentation with ingredients we may not be so familiar will often result in unexpected textures and flavors. (In my own endeavors, a small, “trial” amount for a new recipe is initially baked to leave room for adjustments until I find the right fit for my palate. Might be worth a try.) With this considered, is important to do one’s research regarding the foods about to be prepared, rather than expect someone else to do that heavy lifting for us. Once one has baked with coconut flour a few times, and / or hopefully looked into the properties of the ingredient, it becomes apparent that it is a moisture absorbing ingredient. (Two tablespoons of Bob’s Red Mill coconut flour offers 20% DV dietary fiber, as opposed to almond meal, which offers 12% in a serving size twice that of coconut flour.) This is clearly reflected in the taste and potential dryness of any recipe using this type of flour. Additionally, the texture of your final product will be affected by the size of the eggs you may be using, the quality and texture of the coconut flour, how your measured the flour, the true baking temperature (and age) of your oven, etc. Finally, each person has a different palate: the author might delight in the outcome, while to you they taste “dry” enough that it appears necessary to repeatedly state how you wish they had been better. And some people simply do not like the taste of Paleo breads, biscuits, etc. In the end, it is up to the individual taking a chance in trying a new recipe (and paying for the ingredients included) to pay attention to what is being created, to discover what you do and do not like while being open minded, and to be respectful in addressing the author and offering constructive criticisms. Thank you for this recipe. I used it as a start for foccacia bread. I left out the bacon and onion, and used cheese and garlic I also used coconut oil. I also added cayenne into the dough. Shaped a flatbread on the pan and sprinkled with organic herbs. It turned out fantastic. I plan on trying the bisquits when I get the rest of the ingredients for them. That’s awesome. Thanks for letting me know. Your version sounds very good. These were delish!!! I used a product from earth balance called coconut spread as my shortening and they turned out great. Reminded me of a hush puppy :)…would go perfect with some fish! These look very good and I’ll be giving them a try. I especially like the addition of bacon for flavor! 😀 On another note, I’m wondering where you got your tableware! That blue and white plate is absolutely gorgeous! You can never go wrong with bacon. The plates are a Wedgewood pattern called Bokhara. I believe it has been discontinued which is why if I break one I will have a hard time replacing it. I cannot BELIEVE how good these are! They are so satisfying and delicious! Thank you so much! just made these and they are awesome!!! super easy to make! and way better than i expected!! yum! will be making these again! Hello, this looks good and will try soon. Made the chocolate snack cake and it was awesome! Moist and tasty without being too sweet. Perfect. Thank you. Have a question related to another recipe of yours I want to try: the chocolate birthday cake with ganache frosting with bacon. Would you be willing to share some details of baking bacon? What type bacon do you use? Is the temperature crucial to results? I want to skip frying and try the baking. My oven is frequently inconsistent in temp. Marsha, we bake bacon by covering a sheet pan in foil, laying out the bacon in rows and placing it in a cold oven. We turn the oven to 400 degrees F and set the timer for 20 minutes. It usually goes for closer to 25 or slightly more time if your bacon is really thick and depending how crispy you like it. Thank you for replying and the directions. Looking forward to buying some bacon and giving this a try. 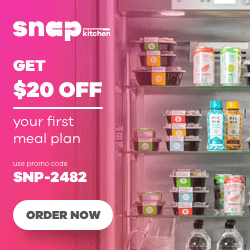 Really enjoying your blog and the recipes I have tried so far have been great! Just made these this morning and for a first time making a recipe completely with coconut flour my attempt came out not bad. Next time I will add more of some type of fat and probably use less salt but it was really nice to have something to sop up my over easy eggs with so thanks for the recipe! My girlfriend wants to make these, but she’s a little hesitant because she doesn’t like bacon (except in the chocolate bacon ganache frosting). (…I know, right?) Do you have a suggestion on a substitute? Would I just cook the shallots in butter? If so, how much would you recommend? This is an excellent question. I really need to make these again very soon and get an exact amount for the fat content just for situations like this. Also, I have a feeling it needs more fat in the recipe in general because coconut flour tends to be very dry. My ROUGH estimate is about 1/3 cup of butter for the five slices of bacon. That’s because I read somewhere a pound of bacon renders about 1 cup of fat. There are about 16 slices in a pound of bacon (5/16 = .31). So, it all depends on the thickness of the bacon, etc… Definitely need to figure this one out for sure. Thanks for prompting me to do that! Oh and if you do try it please let me know how it goes. Do you know how to make coconut flour sourdough bread? Just flour, salt and water. Doesn’t taste too bad either very low carb. I’ve never tried making coconut flour sourdough bread. Sounds like a worthwhile endeavor. Thanks for the heads up. unrefined coconut oil has the coconut flavour, but REFINED coconut oil does not…and is probably a lot better for you than vegetable shortening. Just saying. Ha ha! Are you British? I never thought about how that might be confusing. 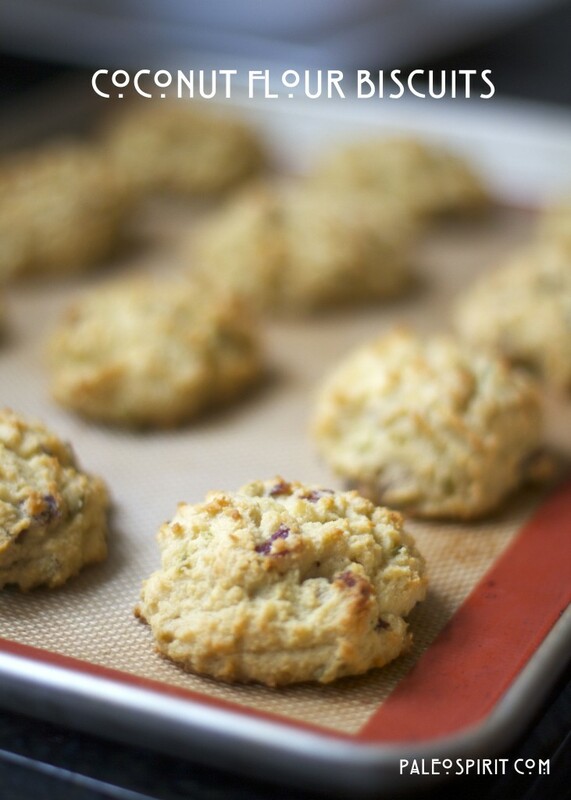 I do have cookie recipes if you go to my recipe index.